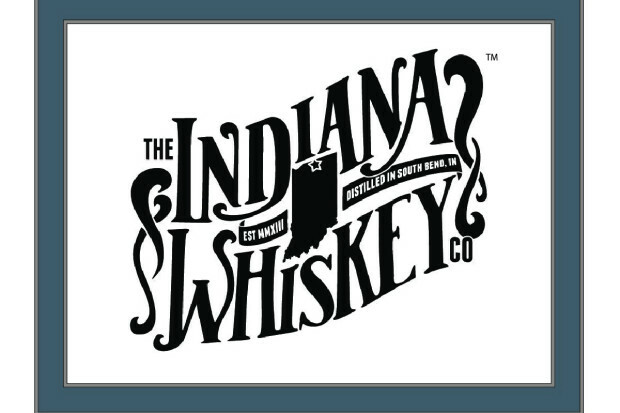 Down The Tunnel is Brought to you with the generous support of The Indiana Whiskey Company of South Bend, Indiana, and Temper Grille in Mishawaka, Indiana. Kevin– Just your average beer drinking, sports watching, American man living life one day at a time. Notre Dame Football consumes his life and his wife already has given up hope on changing that and has embraced it. One of the many reasons she is awesome. Sports make life more enjoyable and he loves debating them with anyone willing. Any sport, anytime. He has no problems telling it how it is and speaking his mind. The Sarge has been told by many that he doesn’t have a filter and we take that as a compliment. Like all the posts on this blog, If you’re offended by his stuff than don’t read it. Simple as that. Kevin is a Proud Veteran of the US Army Infantry, a three time combat tour veteran of Iraq and Afghanistan, and a Purple Heart recipient. Take his advice, if you don’t have to go there, Don’t – It’s not a fun place. Josh – You may know him as @Notre_Josh on twitter, craftsman of fine Notre Dame and sports themed wood items. Josh is known to craft beautiful tables, mantle pieces, plaques and just about anything else you might want with a leprechaun/ND theme on it. Josh will be showcasing his stuff on the site and show from time to time, and is available to commission your own piece of artwork. Contact him on Twitter for more info. Brae- Contributor to our Down the Tunnel Radio Show, who loves all things sports. He’s never shied away from an argument and never will. Hands down one of the most competitive people you will ever meet. His love for Notre Dame Football is second to no one. Brae was born and raised in South Bend, Indiana, so he has literally bled blue and gold from the womb. Season ticket holder. Beer connoisseur. Augie- Augie is your normal college kid with an appreciation for a cold Hamms, and some Ball State football. He’s a telecommunications student at Ball State University but a domer at heart. Been a Notre Dame man since the day he went to his first game at the age of 5 and has never stopped cheering since. When he’s not talking Notre Dame he’s watching his beloved St. Louis Cardinals win World Series or out on a baseball field calling balls and strikes. He also does a weekly podcast, “Straight From the Dome”, with his best friend from high school Brae. Kevin Bonneville- Writing has long been a passion of Kevin’s. Before he transferred to Arizona State University, Kevin was the News Editor of the Mesa Legend, the bi-weekly student newspaper at Mesa Community College. He’s also written for sites such as Fansided, Examiner, and Rant Sports, the latter where he wrote about the Irish in both basketball and football. Embedded in him at a young age, Kevin has been a diehard Notre Dame fan ever since he could remember. He has been longing for a Notre Dame National Championship, their last coming when Kevin was only a couple months old. When he isn’t having his blood pressure raised to an unhealthy number watching the Irish on Saturday’s, Kevin enjoys movies and following world events in his free time. Jesse J. – Unlike these other yayhoo’s I will not speak about myself in the 3rd person. My favorite color is blue. I like long romantic walks on the beach. I LOVE NOTRE DAME FOOTBALL. Yea, I originally went to school for journalism/broadcast journalism, was the Sports Editor of my college newspaper, but I got burned out. Not anymore. If you don’t agree with what I have to say, I will eviscerate you in fiction in a public forum for all to see. You may think I’m a sports idiot now, but I will make you a sports idiot FOREVER. Go Irish. Follow the guys on twitter @DwnTheTunnel, @Goirishglory, @GetsThruBuckner, @Notre_Josh, @BraeBeadles34, @AugieFarwig, @twoj7, and @Kevinbonneville to have access to our daily rantings and adventures about sports, work and life. We’ve been told it’s fairly entertaining. Judge for yourself.